Everyone’s got what it takes. 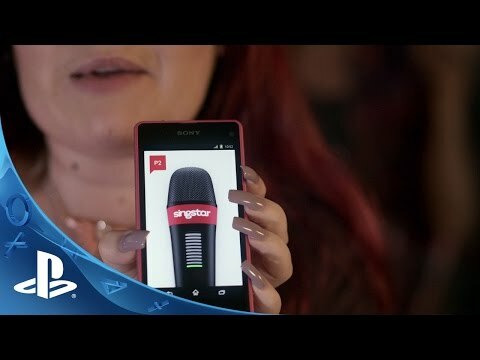 Get your hands on the ultimate competitive singing game by downloading SingStar™ today. Use your existing SingStar Microphones to play, or just download the SingStar™ Mic app and your smart device will be transformed into a personal pocked-sized mic. Belt out your favorite tracks − from pop to rock to hip hop − available to buy from the online SingStore™. Challenge the SingStar Community to beat your Hi-Scores. Show off your best bits (and your epic fails) on Facebook and Twitter. Enhance your videos with AR Effects on PS4 with the PlayStation Camera. Rate other players’ photos and videos in the SingStar™ community. App download, Wi-Fi connection and compatible iOS and Android smartphone required. Users must be 13 years or older and users under 18 require parental consent. PlayStation®Camera required for photo and video creation and sharing. Audio input device required for singing gameplay. ©2014 Sony Computer Entertainment Europe. SingStar is a trademark of Sony Computer Entertainment Europe. Developed by SCEE London Studio.